Afghan President Mohammad Ashraf Ghani outlined a new peace map on Wednesday during an international meeting, which is aimed at finding negotiated settlement to the country’s lingering crisis. “The Afghan government offers peace talks to the Taliban without any preconditions,” Ghani told participants at the Kabul Process for Peace and Security Cooperation meeting, Xinhua reported. The Afghan President said the new measures for the peace and reconciliation efforts include a ceasefire, recognition of the Taliban as a political party, making efforts for a transitional trust building process as well as holding free and fair elections. 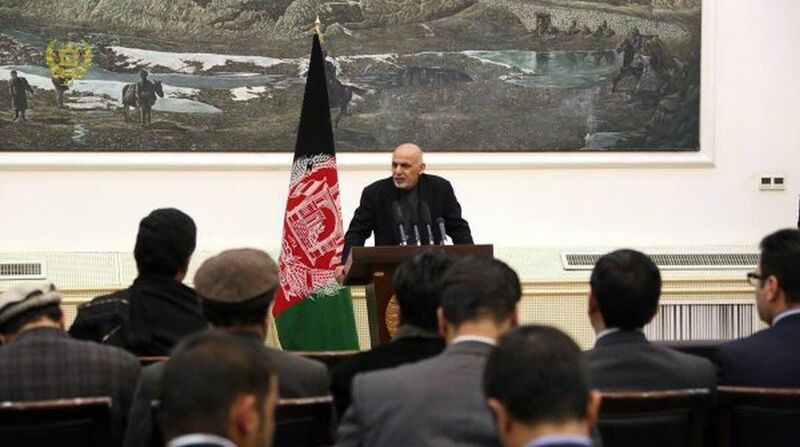 “If we did not have the confidence and assurance that a peaceful and stable future is within our grasp, we might have lost the will to forge ahead in the face of such brutality that is being waged against our people,” Ghani said. However, the President noted the government was seeking “to strike a truthful and sustainable peace deal with conciliatory Taliban,” and the armed apposition who have had links with international or regional terror groups will not be accepted. “To support an Afghan vision for peace, the strongest commitment of regional partners and key stakeholders is now needed more than ever,” he said. Ghani also said that in efforts to reach a peace settlement, the Afghan government was ready for amendment in the country’s constitution based on the articles of the constitution. Measures must be taken to reintegrate the armed opposition members, who renounces violence and joins peace process, and the refugees who return from neighbouring countries, he noted. Releasing Taliban prisoners and removing some Taliban leaders’ names from international sanction lists as well as opening an office for Taliban in Kabul or other Afghan cities were also included in the new peace map, according to Ghani. The announcement came one day after the Taliban said it was ready to talk with the US over Afghan crisis but not with the Afghan government or its peace council. Over the past years, the insurgent group has categorically rejected the peace offer, saying there will be no talks until foreign troops leave the country. Since 2015, Afghan security forces have assumed the full security mission from NATO and US forces, but around 16,000 foreign troops have remained to train and assist local security forces in their fight against the insurgents. The Wednesday’s meeting was the second of such conference held in Kabul over the past one year. The previous Kabul conference was held in June 2017. Delegates from more than 20 countries and international organisations attended the Kabul conference. The latest move for peace comes as scores of security force members and civilians have been killed in strings of deadly terror attacks across the country.